The continuing protests against his government and a loss of support in parliament have left the Sudanese president vulnerable. But almost everyone agrees he won’t willingly step down. 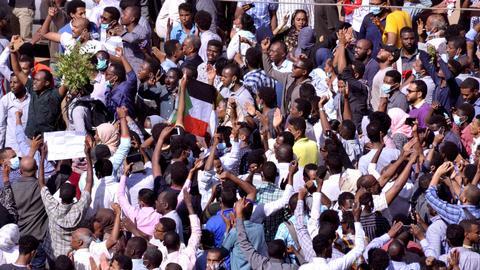 “Freedom, peace, justice!” Sudanese protesters chanted during the last demonstration of 2018 on December 31. “Revolution is the people’s weapon,” they shouted. On the same day, one of three protesters demanding the ousting of the country’s President Omar al Bashir died after coming under fire from Sudanese security forces. Protests, spurred by worsening economic conditions, started more than two weeks ago in the eastern city of Atbara. They spread to other cities shortly after, with dozens reported killed in clashes. Within a fortnight, the demonstrations over inflation transformed into a call for the removal of al Bashir, who has been ruling the country since he took power through a bloodless military coup in 1989. The first day of 2019 brought more pressure for al Bashir as 22 political parties, calling themselves The National Front for Change, withdrew from the Sudan National Consensus Government. The Front demanded parliament be dissolved and a transitional governing council established. “This call will shake the government a little bit, because it's a [loss of] prestige for the government and a win for the anti-government bloc, showing the opposition voice is getting stronger,” Serhat Orakci, a political analyst focusing on African affairs, told TRT World. But, he said, the Front’s decision to withdraw from the government would not create a huge enough ripple effect for the al Bashir administration to consider a change in government. “These parties are not the most effective [ones] in the government. So they don't create a very strong opposition bloc. The government will continue pressuring protesters through security forces,” Orakci said. For 32-year-old protester Sanaa Mohamed, the bloc’s recent decision is not much of a gain for the protesters. “It's a move to jump from a drowning ship but it's not a big one because they're [the parties] not representing the Sudanese people — they are the people who benefit from this government,” she told TRT World. 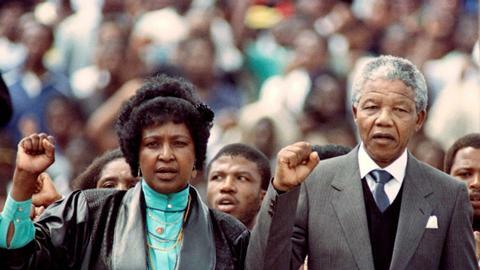 “Those parties were part of this regime and they kept silent when the government killed people last week,” she said. Critics of the government have accused security officials of using excessive force. The government has calculated a death toll of 19 but Amnesty International says more than 37 people have died during the protests. On the day that the 22 parties called for a transitional government, al Bashir ordered a committee to investigate violence during the anti-government protests in an attempt to placate an angry public. His earlier statements, however, endorsed the behaviour of security forces. Al Bashir said he was completely satisfied with the police action against protesters and that the goal was not killing people but ensuring “stability”. 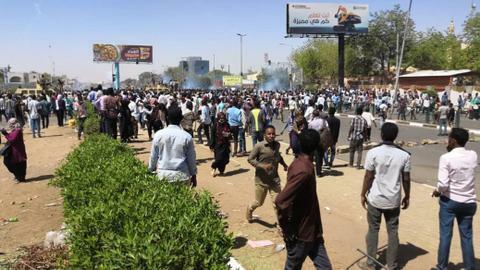 Sudanese protester Mohamed said she thought al Bashir’s promise to investigate police violence was insincere as police continued to behave in the same brutal manner. “Al Bashir and his government should investigate themselves,” Mohamed told TRT World. “We have evidence as activists and protesters and you can find photos of snipers around Khartoum during the last demonstrations. We saw them,” she said. Can protests topple al Bashir? 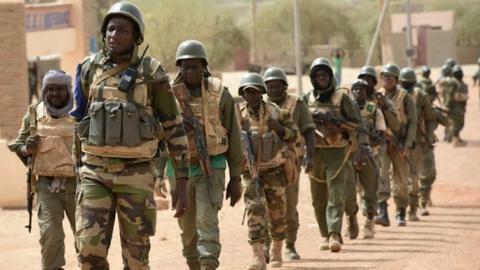 The Sudanese military reiterated its support for al Bashir, a former colonel, as public dissatisfaction with the government unfurled across the country. Previous protests in 2015, 2013 and 2011, when South Sudan declared independence, were all suppressed by both the military and the police. Many experts have questioned if the al Bashir government can be overthrown by the current wave of dissent or whether he would step down. But, according to Orakci, these protests are not powerful enough. “In 2013, the protests were stronger in terms of participation. More than 200 people were killed by the security forces and more than 2,000 people were arrested,” he said. According to Orakci, as long as the protests don’t gain momentum, as happened during the Arab spring, the overthrow of al Bashir realistically won't happen under the current circumstances. 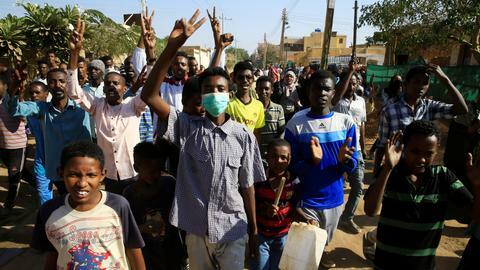 After the dust settled on the 2013 protests, the Sudanese government launched a process of ‘national dialogue’ in 2014 and promised political reforms in response to the people’s demands. Just a few days into 2019, al Bashir indicated that his government was once again willing to start such a process. Both Orakci and Mohamed believe that the other possibility, of al Bashir stepping down willingly, is unlikely. Mohamed said: “Bashir will not step down peacefully because he has no place to go and nothing to lose. The main reason why al Bashir will not step down is due to an arrest warrant issued as a result of an International Criminal Court (ICC) judgement in 2008, Orakci said. “The [ICC] decision is not practically implemented by many countries but it is still binding. If he steps down, he might face same the fate as Saddam Hussein,” he said. In mid-December, al Bashir paid a visit to Syrian regime leader Bashar al Assad, becoming the first Arab head of state to visit Syria since the war began in 2011. Orakci said al Bashir’s meeting with Assad was revealing; it showed the Sudanese president needs protection and is in search of a suitable defender. “Al Bashir is looking for support for [the Sudanese] economy through Russia as well as security,” Orakci said. Russia intervened in Syria in 2015 in support of the Syrian regime, helping Assad recapture most of the opposition-held areas. “[Al Bashir] was relying on the Arab bloc, but after the Khashoggi incident, his reliance slowly shifted to Russia,” Orakci added.